An e-commerce website for F.A. Supplies was a no-brainer from the get-go. We wanted to make sure that their product catalogue was not only fully available and easily browsable online, but easy to purchase as well. 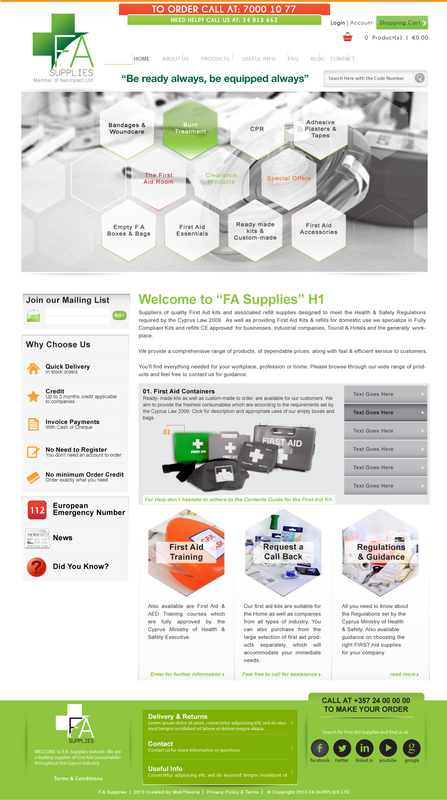 Feel free to visit their website to cover your first-aid needs for the most effective recovery.